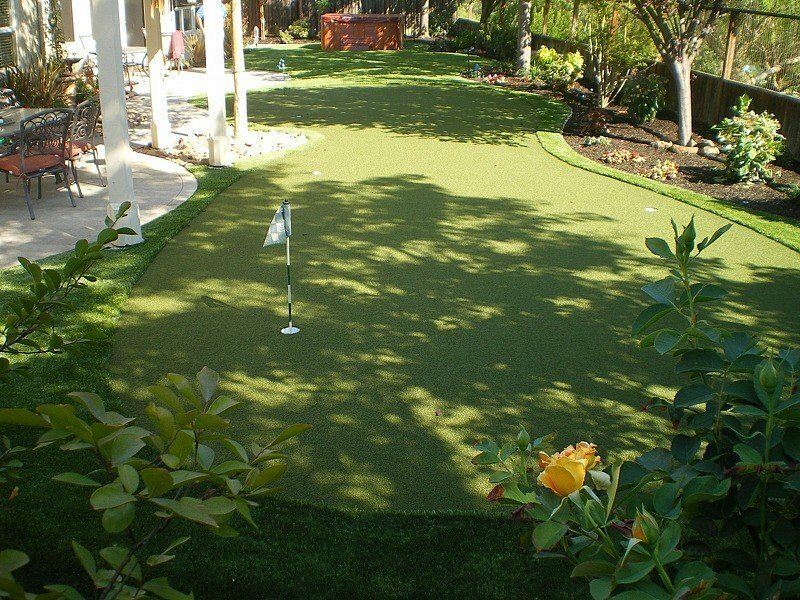 Synthetic Grass in Danville Ca. 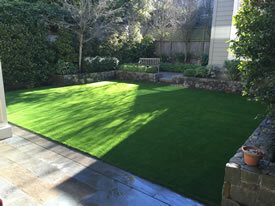 Forever Greens was recently contracted to install a beautiful 660 square foot Synthetic Lawn in Danville, Ca. Although the project was a basic straight-forward design, it proved to have a few challenges. 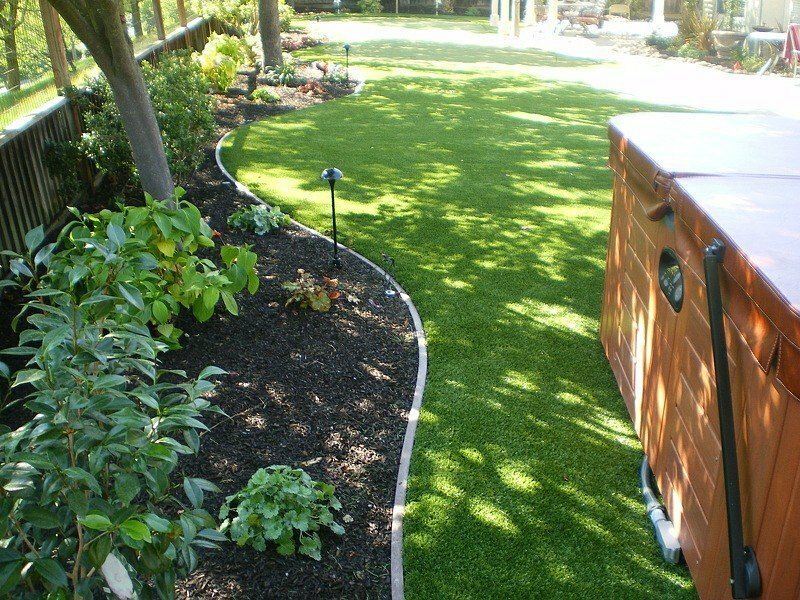 Fortunately, with over 10 years of experience, the Forever Greens crew was able to accomplish the same high quality Artificial Grass installation that we have come to be known for. The Danville home was perched on a hillside, making the access to the back yard where the Synthetic Grass was being installed, difficult to get to. The Forever Greens installation team devised a system to carry the sub-base materials from the front driveway, to the back project area, in small loads and began laying it down. Once the preparation process was complete, the Artificial Turf was ready to be rolled out and cut to the customer’s design specifications. However, after rolling it out, the Forever Greens installers quickly saw that the Synthetic Grass delivered did not match our high quality standards for appearance and texture. 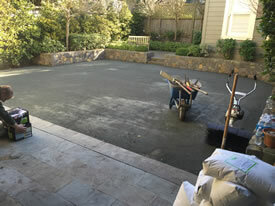 The project was immediately put on a brief hold until a fresh roll of Artificial Grass was delivered. Throughout the entire Synthetic Lawn installation, the Forever Greens team worked around the customer’s beautiful existing Hardscape with great care, to avoid damaging it. 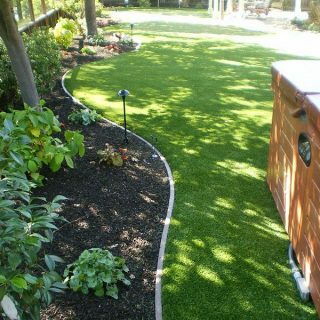 All of the Synthetic Grass was meticulously cut and laid between and around all edges of the moss rock Retaining Wall that lined the back edge of the yard. The finished product was an immaculate, natural-looking Artificial Lawn, made of our high quality 92 ounce C-Blade Turf. Both the customer, and their dogs are now enjoying their new backyard getaway. At Forever Greens, we know that not all projects are simple, which is why we recommend using high quality professionals like us to handle your project. We can guarantee that no matter how large, small or detailed your project may be, it will be handled professionally and efficiently, from beginning to end.